The Department of Trade and Industry (DTI), Government of South Africa, has approved a R200 million (approx. 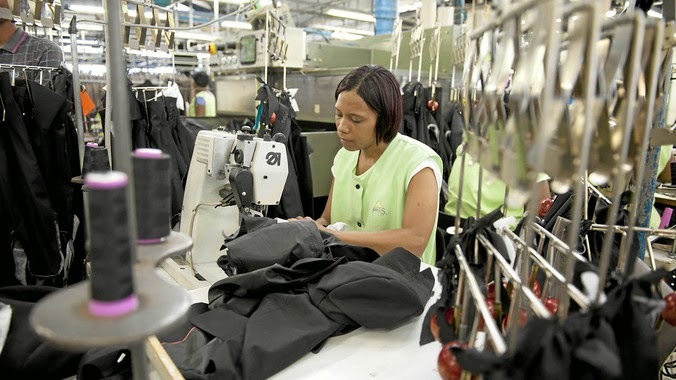 US$ 19 million) Grant Fund and a 5-Year Plan for the establishment of a Southern African Sustainable Textile and Apparel Cluster (SASTAC), according to a DTI press release. The National Cluster would help the South African industry to improve its competitiveness capability in global sustainable textile and apparel manufacturing. The initiative is funded through DTI’s Competitiveness Improvement Programme (CIP), as part of the overall Clothing and Textiles Competitiveness Programme (CTCP). The CTCP aims to stabilize employment and also to improve the country’s overall competitiveness in the clothing, textile, footwear, leather and leather goods manufacturing industries. According to Rob Davies, Minister of Trade and Industry, the main aim of the Cluster initiative is to build and improve the capacity in the South African textile and apparel industry value chain to effectively supply: (a) local and international consumers with fully traceable sustainable apparel and household textile products; (b) local Government with fully traceable sustainable textile and apparel products that adheres to the 100% local content designation as stipulated by the PPPFA Regulation; and (c) facilitate the development of sector and/or supply chain specific Sub-National Clusters. The objective of SASTAC includes establishing and managing shared national resources to provide an enabling environment for cluster members and other sub-national clusters; incubating opportunities for sustainable micro, small and medium enterprise (MSME) participation and employment creation – from farm to retail; and maximising the production capacity development and beneficiation of local raw materials – starting with cotton and then broadening its scope to include all other natural and synthetic fibres. As part of the SASTAC, a national body representing the entire industry value chain from fibre to end use product would be established. It would bring together like-minded sector leaders that work closely with Government to map out the future development of the industry and address mutual issues of national concern. The DTI has appointed Mr. Heinrich Schultz of Organimark as Cluster Manager for SASTAC. During its first year of operation, the Cluster will implement a wide range of Competitiveness Improvement Interventions to achieve its objectives.